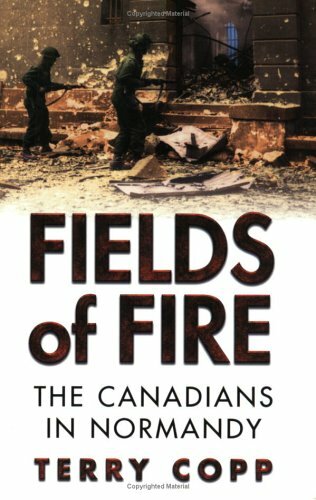 Fields of Fire offers a stunning reversal of accepted military history. Terry Copp challenges and refutes the conventional view that the Canadian contribution to the Battle of Normandy was a ‘failure’: that the allies won only through the use of ‘brute force,’ and that the Canadian soldiers and commanding officers were essentially incompetent. His detailed and impeccably researched analysis of what actually happened on the battlefield portrays a flexible, innovative army that made a major, and successful, contribution to the defeat of the German forces in just seventy-six days. Four motorcycle Bren gun teams of the Royal Montreal Regiment taking part in a training exercise at Petworth Camp, England, 28 April 1942.